as they almost always say, those short weeks seem so long, and i’d say these past four days were no exception. i was glad when happy hour finally rolled around…at seven o’clock this evening. it was about time! after a modelo and some laughs with the coworkers, i headed home to the condo. although the monthly pizza friday at the office was delicious, it was time for some dinner. but tonight? tonight i was craving breakfast for dinner, alas, brinner! 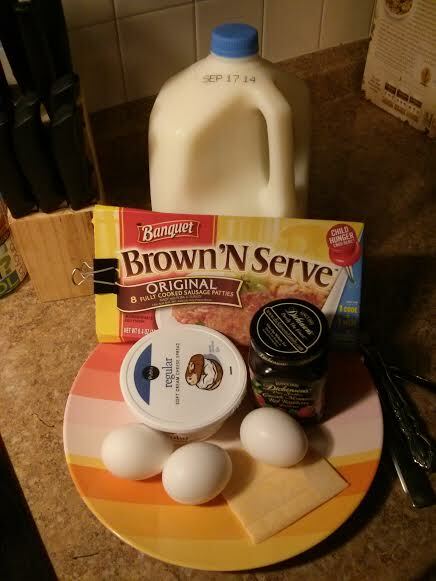 what’s the key to a good brinner? including everything you love in it. i mean, it’s breakfast for dinner for goodness sakes. eat whatever you want! although pancakes are probably one of my favorite breakfast dishes, it’s not fun to eat those all by yourself. 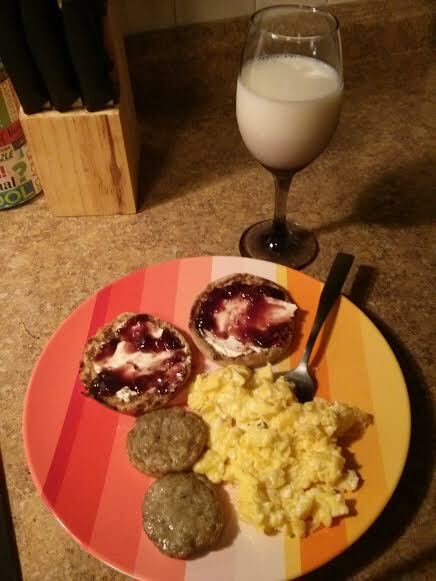 so tonight i kept it simple with some cheesy eggs (oh, yes), sausage, and an english muffin. shall we? yes, let’s! 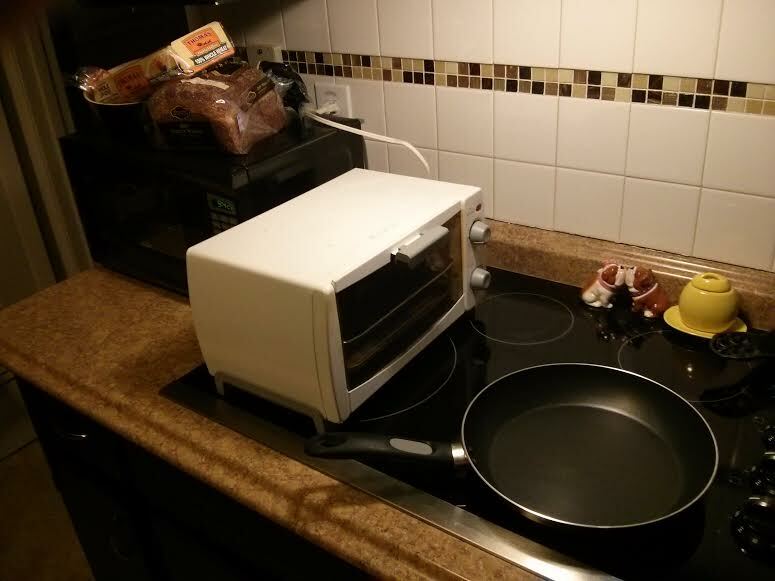 my kitchen is quite tiny, so i had to shuffle some of the appliances around to make space for everything. it doesn’t help that there are only four plugs, three of which are regularly occupied by the refrigerator, keurig, and microwave. first things first, gotta get that english muffin all toasty. i have had this toaster oven for, hm, about seven years now. it was passed down to me when my old roommate shanna moved out of our dorm at uga, and it is just wonderful. i’m glad i’ve kept it ever since. doesn’t that little fella look perfectly toasted? i agree. while the muffin was toasting to golden perfection, i whipped up those eggs. 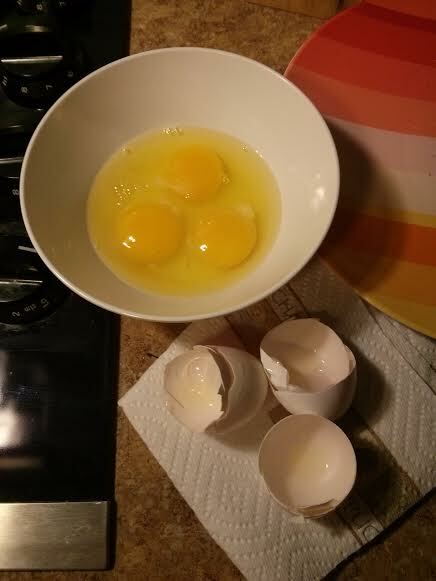 i love to make scrambled eggs when i’m cooking them, but when i go out i always want them over-easy so that i can get that runny yolk all over the plate. mm, yesssss. with the ding of the toaster oven, it was time to top the english muffin. now, some days i like it with peanut butter. other days i like it with just butter. but most days i like it with cream cheese and preserves or jam. today was one of those days. if you have never tried this combination, i suggest you do, right now. get up out of bed and make yourself some brinner!